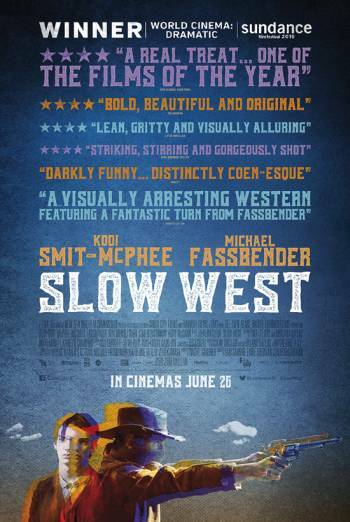 Summary SLOW WEST is a Western about a young Scottish boy who travels to the American West in search of the girl he loves who has fled there with her father. SLOW WEST is a Western about a young Scottish boy who travels to the American West in search of the girl he loves who has fled there with her father. There is strong violence in a number of scenes, including a arrow piercing a man's hand, leaving a bloody wound, and a number of men being shot with sight of bloody impact and exit wounds from the bullets. There is a single use of strong language ('f**k') which is used in an aggressive fashion.